Declining response rates threaten the generalizability of health surveys. We investigate (1) the effect of item order on response rate; (2) characteristics of early , late and non-responders; and (3) potential non-response bias in a population-based health survey of childhood, adolescent and young adult cancer survivors (CAYACS). We mailed a questionnaire survey to 5361 eligible CAYACS identified by the Cancer Registry of Norway (CRN), representing a range of cancer diagnoses. The 302-item questionnaire included a range of survivorship-related questions and validated patient-reported outcome measures. To investigate item-order effects on response rates, we constructed two versions of the questionnaire presenting cancer-related or socio-demographic items first. The CRN provided demographic and clinical information for the total population. Risk of non-response bias was estimated by (1) comparing outcomes between early and late responders (answered after a reminder), and (2) by applying inverse probability of participation weights to construct a total population (with 100% response) and then compare 21 a priori selected outcomes between early responders, all responders (early + late) and the total population (all eligible). Survey item order did not affect response rates (cancer first 49.8% vs socio-demographic first 50.2%). Shorter time since diagnosis, male gender and a malignant melanoma diagnosis remained significant predictors of non-response in a multivariable multinomial regression model. There were no significant differences on 16/21 survey outcomes between early and late responders, and 18/21 survey outcomes between early responders, all responders and the total population. Despite a modest response rate, we found little evidence for a response bias in our study. 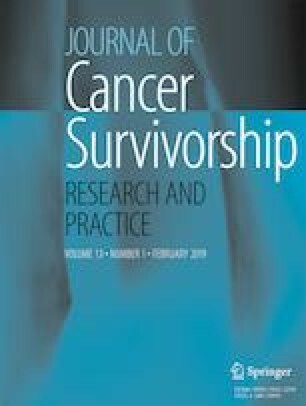 Surveys of survivor-reported outcomes with low response rates may still be valuable and generalizable to the total survivor population. The online version of this article ( https://doi.org/10.1007/s11764-019-00757-x) contains supplementary material, which is available to authorized users. The project was funded by The Norwegian Cancer Society (45980) and The Norway Research Council (218312). CSR has received funding from the European Union Seventh Framework Programme (FP7-PEOPLE-2013-COFUND) under grant agreement no. 609020 - Scientia Fellows. SDF received funding from The Radiumhospital Fund (335007). ER and HCL were partially funded by the Regional health authorities of South-Eastern Norway (2015084). Kilsdonk E, Wendel E, van Dulmen-den Broeder E, van Leeuwen FE, van den Berg MH, Jaspers MW. Participation rates of childhood cancer survivors to self-administered questionnaires: a systematic review. Eur J Cancer Care. 2017; e12462. https://doi.org/10.1111/ecc.12462. Bliddal M, Liew Z, Pottegård A, Kirkegaard H, Olsen J, Nohr EA. Examining non-participation to the maternal follow-up within the Danish National Birth Cohort. Am J Epidemiol. 2018 Jul 1;187(7):1511-1519. https://doi.org/10.1093/aje/kwy002.